“Since bursting on to the UK’s music scene in the early naughties, busking at London’s East End markets, She’Koyokh – a Yiddish word meaning “nice one!” – has toured the world, won international awards and released four critically acclaimed albums earning themselves the reputation as “one of London’s musical treasures playing the best klezmer and Balkan music in Britain” (The Evening Standard). In early February, She’Koyokh brings its versatile sounds and band of virtuoso musicians to Debating Row, an iconic music hall with original wooden panelling, where they are hosted by Edinburgh University’s Turkish Society. Fronted by Istanbul-born singer Çiğdem Aslan, She’Koyokh is an award-winning group internationally renowned for playing klezmer and traditional music from the Balkans and Turkey. Formed 18 years ago, the band have released four critically acclaimed studio albums and toured the world performing songs and dances from Turkey, Romania, Serbia, Bosnia, Bulgaria, Albania, Armenia and Greece. Of Kurdish heritage and now a star in her own right, Çiğdem Aslan has been at the forefront of the re-vitalised Rebetiko scene, which first emerged in Turkey and Greece at the turn of the twentieth century. Her two solo albums, Mortissa (2013) and A Thousand Cranes (2016), were both released worldwide on Asphalt Tango Records, their influences filtering back into the sounds of She’Koyokh. 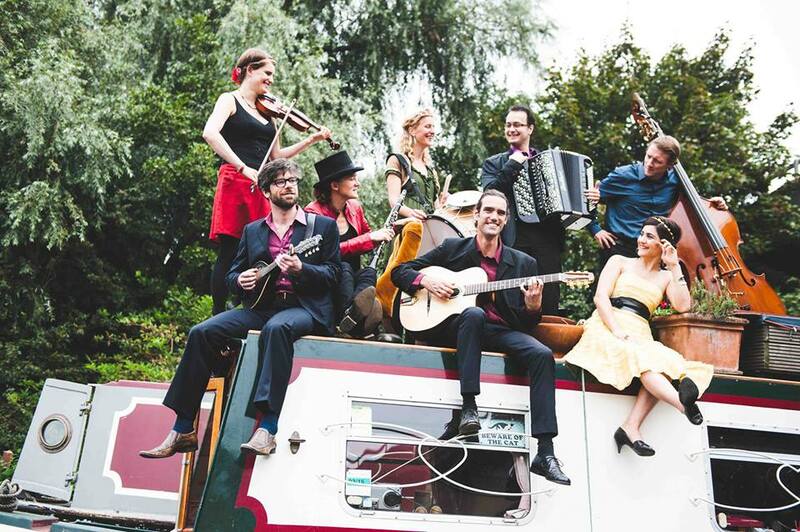 Described by the Guardian as “one of the finest and most entertaining British-based exponents of global music”, She’Koyokh’s Scottish concert is the perfect antidote to a frosty Monday – their infectious mix of Anatolian and Balkan beats are guaranteed to warm you like it’s the weekend!